We’re having a great week in school for Active Week! 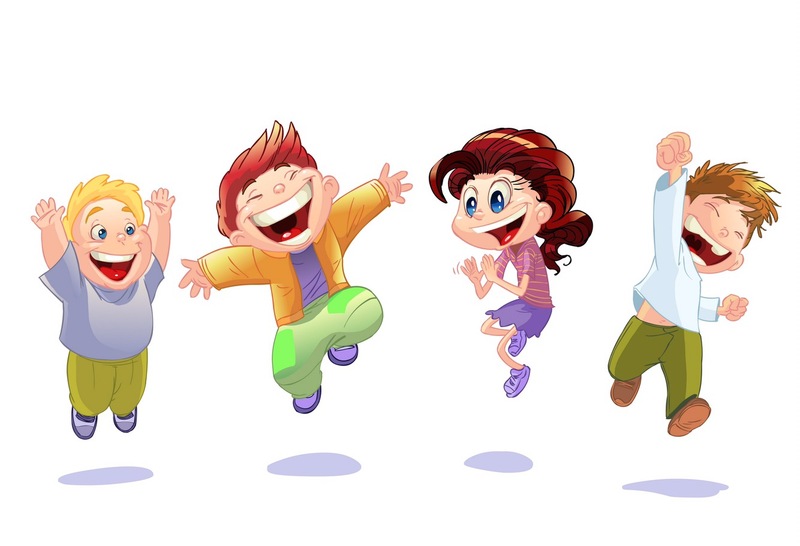 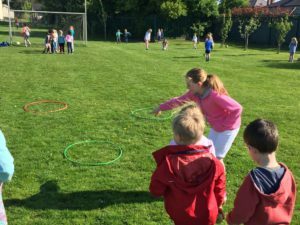 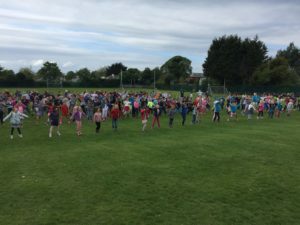 We’ve been taking lots of extra movement breaks, doing lots of exercise and there have been lots of fun whole school activities organised for us to take part in! 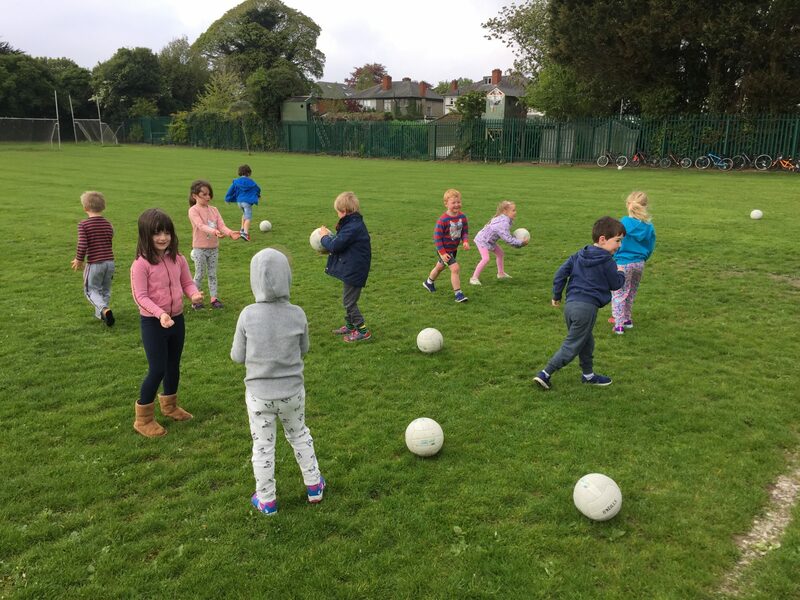 Instead of written homework, we’ve also had ‘Active Homework’ which has been a big hit in Junior Infants! 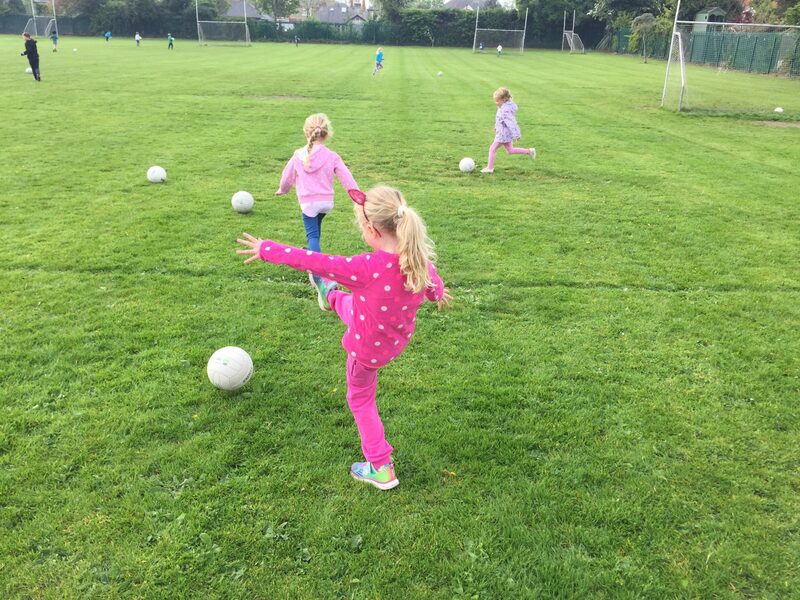 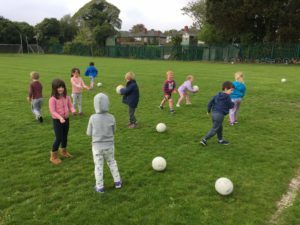 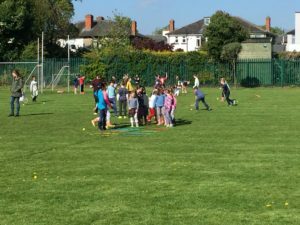 On Tuesday Ger very kindly came in to do some more GAA skills with us. 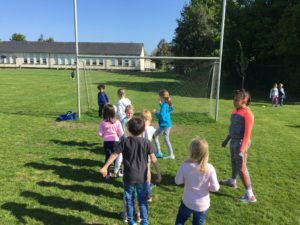 We always enjoy it when Ger takes us for GAA! On Wednesday, we had some station activities. 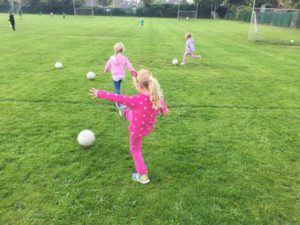 We’d like to say a huge ‘Thank You’ to Mr. O’Sullivan and the girls in Third Class who did a super job at helping Junior Infants. 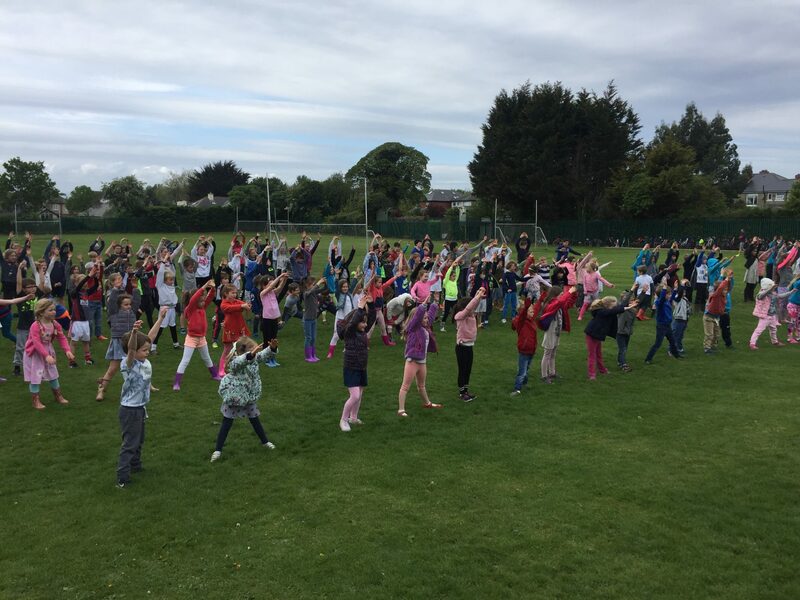 Today we had aerobics with Ms. Dowling and Tom, Charlie and Casey from Sixth Class. 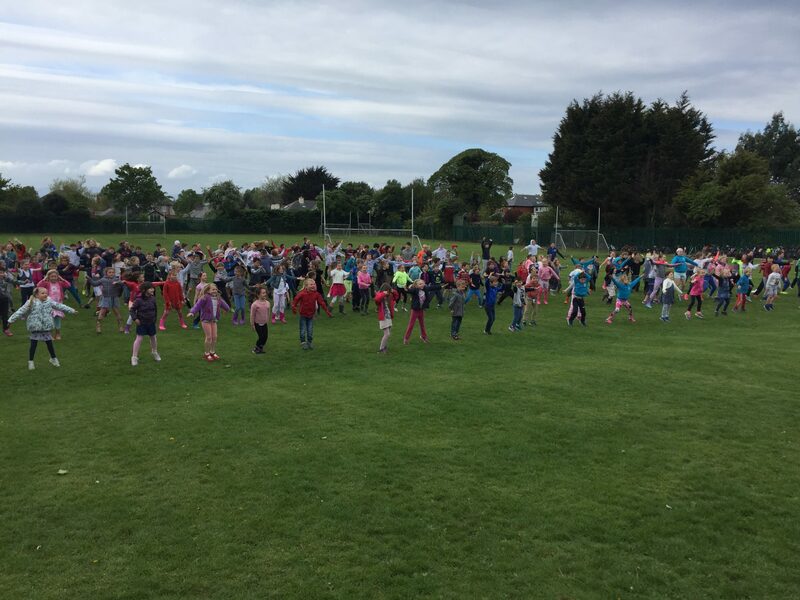 Junior Infants did a great job at showing off some of their dance moves!!! 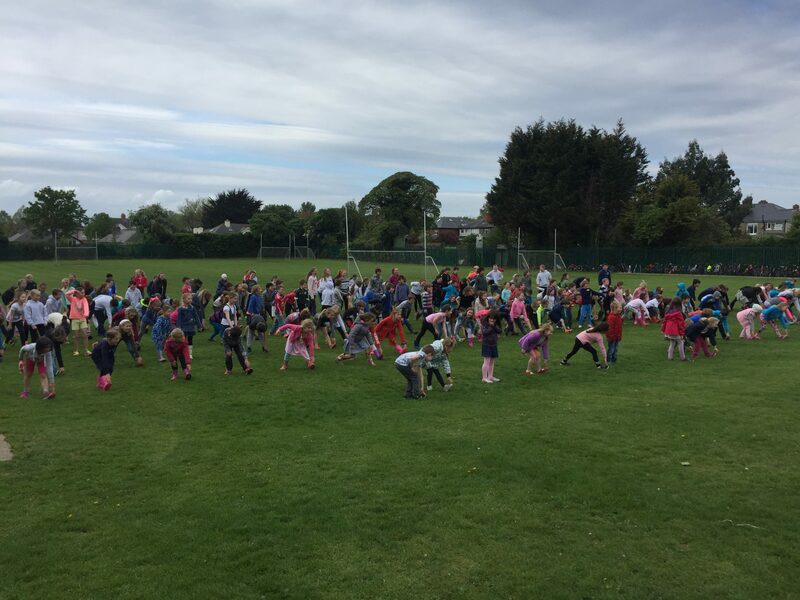 Thanks to Ms. Dowling and Sixth Class – we had a lot of fun! Tomorrow, we’ll be having a Tug of War against Senior Infants so get lots of sleep tonight so that we’re well prepared!! Next story Junior Infant Travel Agents! 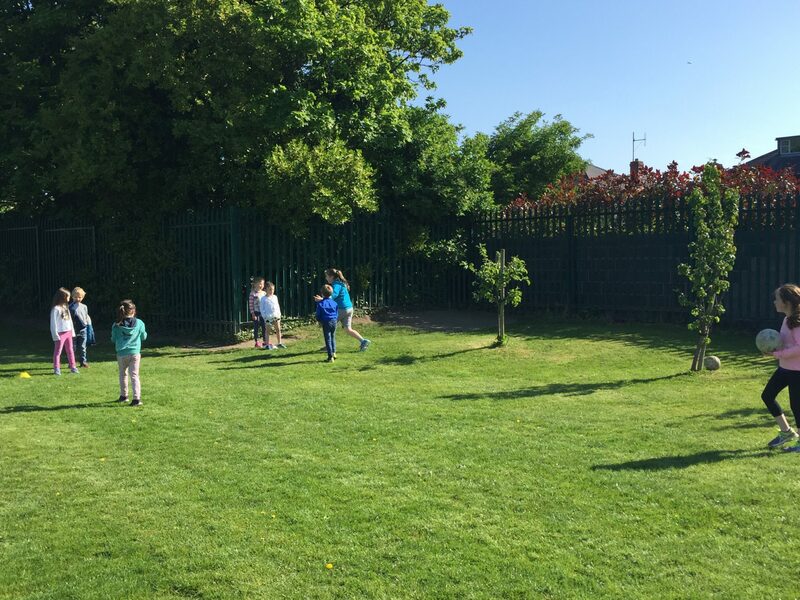 Previous story iPad Learning in Junior Infants!